Spring fever seems to bring with it a desire for change. 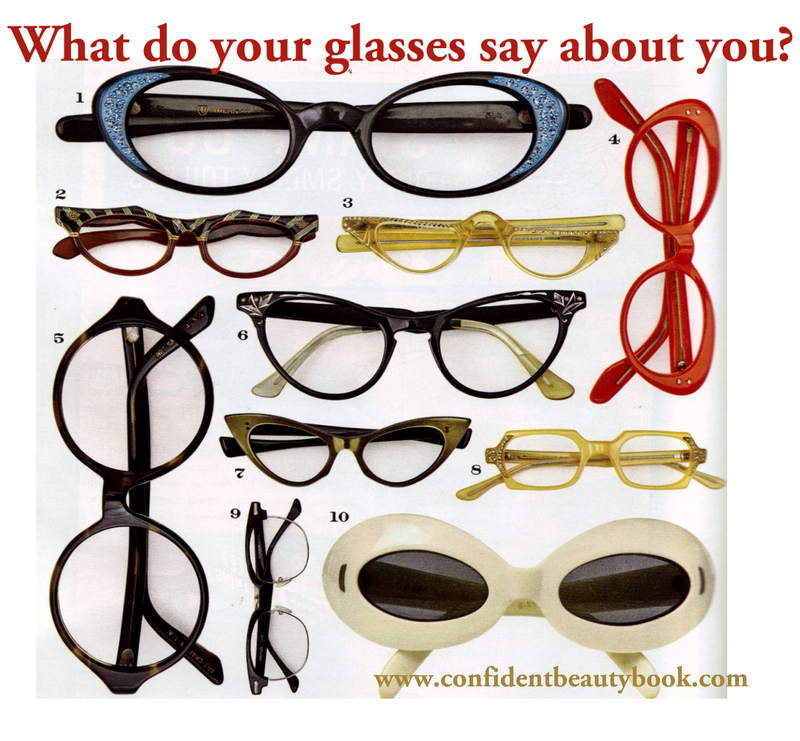 Are you one of the many looking to change your look with a new pair of glasses? If so, here are some general guidelines to help you choose a style that will give you Confidence. Oval faces can wear most styles as long as they are as wide as, or slightly wider than, the widest part of the face. Maintain balance by avoiding low, swooping temples. Square faces should choose slightly angular shapes, with curved corners. Decorative accents near temples, above eye level, are great to elongate the face. Frames should be slightly heavier at top, and have vertical lines. Stark geometric frames are great for the fashion forward look. Diamond faces should choose softly curved styles, no wider than cheekbones. Frames should be slightly heavier at top, square with rounded bottoms. Round faces should select angular styles that are no wider than the widest part of the face. Avoid strong squares or circles; soft squares and slight curves are best to balance the face, especially with any detail near the temple. Clear bridges are a great option. Oblong faces should choose strong horizontal lines. Round, deep, square, low-triangles will shorten and soften the face. Low temples and bridges are a good choice. Styles that extend beyond the widest part of the face will take away from the length of the oblong face. Heart faces can wear Aviator or slightly curved styles. Frames should angle outward at bottom corners to minimize upper portion of face. Frames should be no wider than the forehead. Triangle/Pear faces should choose frames that are no wider than the forehead and should angle upward at top corners. Slightly curved frames that appear more horizontal than vertical are a good choice. The best choices of frames have some weight at the top. Remember, though, that the shape of your face is not the only factor to keep in mind when choosing your glasses. The color of your frames should compliment your skin tone and the style you choose should say something about your Img.ID. Are you a Classic? Then your glasses should be conservative. Naturals should wear casual or rustic styles. Dramatics, choose something stylish. Ingénues, be sure they are not too heavy or overpowering. Romantics go for glamour–cat eyes are usually a great option. Gamines have fun with the strong, spunky styles. If you don’t know your Img.ID, be sure to take my complimentary quiz or contact me about scheduling an image assessment party or retreat.